Does playfuladmirer belong in this group? Does isabel16 belong in this group? 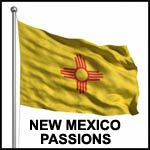 I live in New Mexico I live in New Mexico and I am passionate about yoga, peacefulness, love, bliss, happiness. I want to find someone to practice blissful yoga practice. A best friend, a partner to stretch, stregthen and practice poses, a healthy lifestyle with a positively good spiritual not egotistical attitude. Does jkuett1 belong in this group? i live inn abq looking to meet others living here , weather we become best firends or more(for you men) i don't have many friends here and i dont have any family here, im a student and i want to meet new people male or female. if interested hit me up please. Does ctgurlnnm belong in this group? Does estevan64 belong in this group?